The insane popularity of compact SUVs just doesn’t seem to show signs of ageing and it’s not hard to see why at this price they have just about everything you want from a family car. 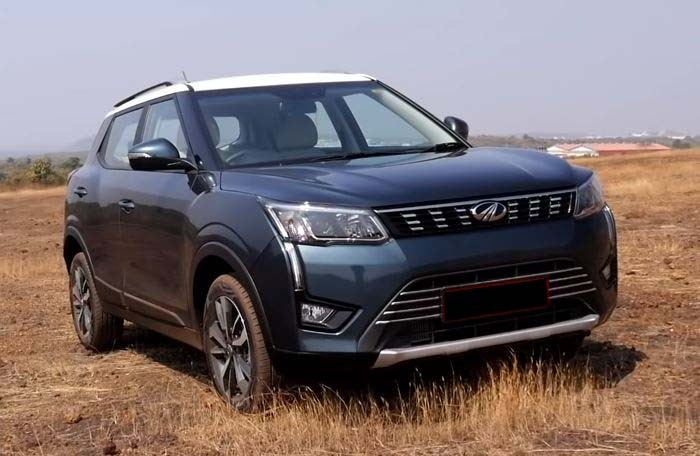 Every automobile company wants a piece of the pie, in fact Mahindra wants two pieces of the pie as you probably know they already have a compact SUV called the TUV 300 and now there’s this, the XUV 300. It’s a baby-sibling to the XUV 500 and Mahindra says that it is quite different from what the TUV 300 offers. Well it’s also packing a lot of segments first features and we’re going to tell you what it’s all about. 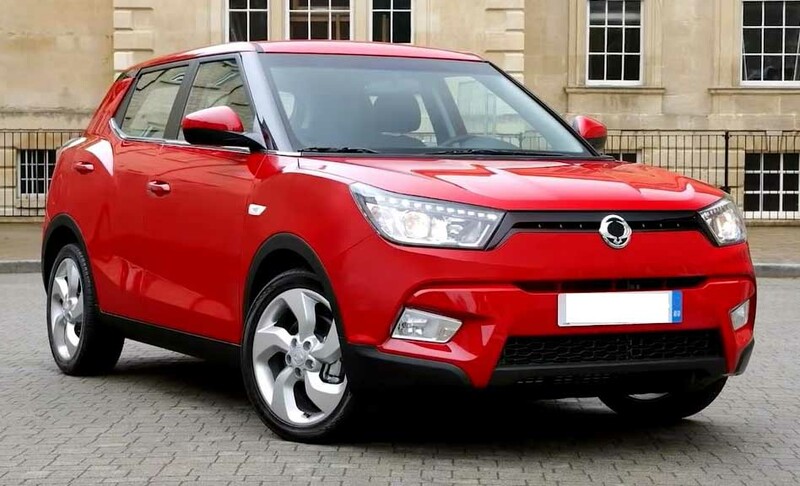 The interesting thing is that some of you may already know this that the XUV 300 is originated from the Ssangyong Tivoli. 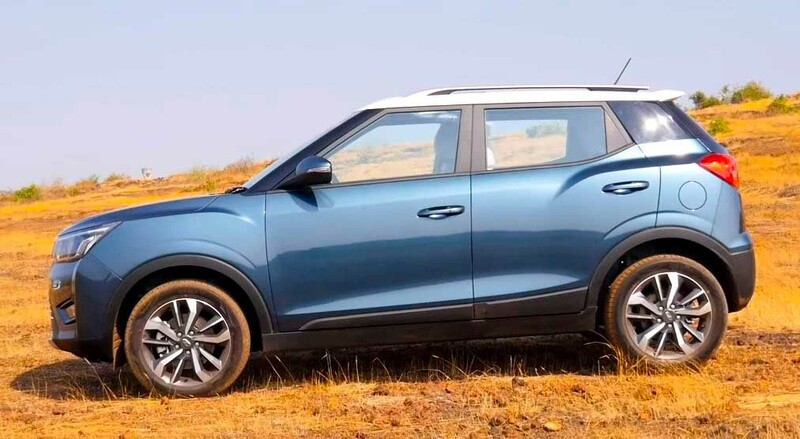 Mahindra owns the Korean SUV brand and we’ve seen the fruits of this energy in the original Rexton and last year’s Alturas G4, but while those are both just rebadged versions of Ssangyong SUVs, the Tivoli was thoroughly reengineered to make the XUV 300. Firstly, the length has been reshaped from 4.2 meters to 3.9 meters and though there is a resemblance, but almost all the body panels are new. It also uses Mahindra’s own engines and suspension so really while the base platform is the same it’s pretty much a new car. So what do you think about the way it looks then? We know this can be quite subjective so feel free to disagree, but overall what we have to say is that it is quite likeable with what they’ve done with it. 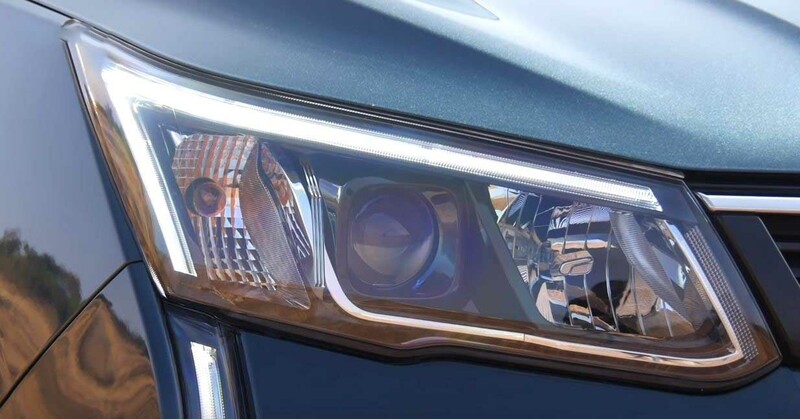 The detailing at the front where the chrome-dashed grille, the projector headlamps, the vertical LED DRLs that extend all the way down to the front bumper, it all looks very classy. At the back to the part LED tail lamps give it a distinct signature and the tailgate is nicely sculpted and it has a nice visual width. Coming to the rear end profile, I like the contrast roof especially on this color of car and the 17-inch alloy wheels too, but unfortunately the proportions are a bit off from the side. Despite that attractive rear haunch, the back simply looks too truncated in relation to the rest of the car. It’s the price designers sometimes have to pay when they make a sub 4-metre SUV. Now let’s hop inside and see what they’ve managed with the interiors. 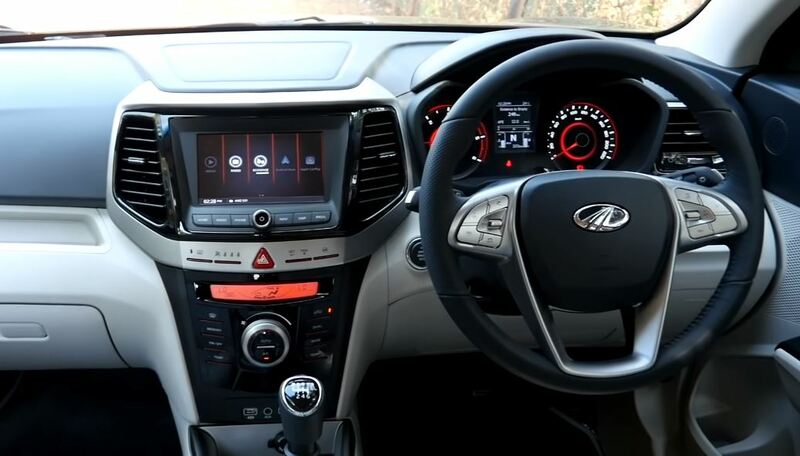 The interior of the new 2019 Mahindra XUV 300 is a bit of a mixed bag. On one hand the design is pretty straightforward and for the most part the dashboard at least is really high-quality. The buttons for instance, they’re very well damped and even the ones on the steering wheel feel really premium in fact the steering wheel itself feels really nice to hold. On the other hand there are far too many colors, textures and materials on this dashboard and it looks like a bit of a mismatch, while the top half looks nice and modern with its 7-inch touchscreen, the bottom half looks like it came from 10 years ago. Some of the plastics lower down in the cabin aren’t as good as the upper dashboard, but that aside there’s plenty to like too. There are loads of cubby holes for storage and the big bright dials whose backlit colors you can change like the Maruti Brezza’s are quite good looking. There is an informative trip and fuel computer that even tells you if you’ve left your wheels turned before you set off. The front seats are well bolstered at the sides. 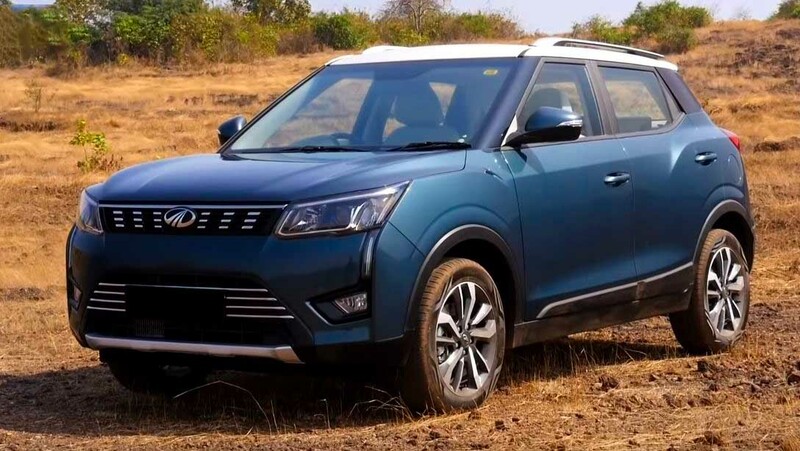 The really impressive bit about the new 2019 Mahindra XUV 300 is its vast equipment list which we’re going to try and list out for you right now. Most of the equipment is up there with the best in the segment and there are even a few segment firsts – there’s dual-zone climate control, heated outside mirrors and auto dimming inside mirror, sunroof, tire pressure monitoring system, cruise control, auto headlamps and wipers, variable steering weight, engine start­-stop and a 7-inch touchscreen with Apple CarPlay and Android Auto. The safety kid on board is worth talking about too. Not only do you get a rear view camera and rear parking sensors but also front parking sensors plus disc brakes at all four wheels, seatbelt warnings for all five passengers, isofix child seat mounts and a class-leading 7-Airbags and of course Mahindra tells us that it meets all current and upcoming Indian crash-test norms. 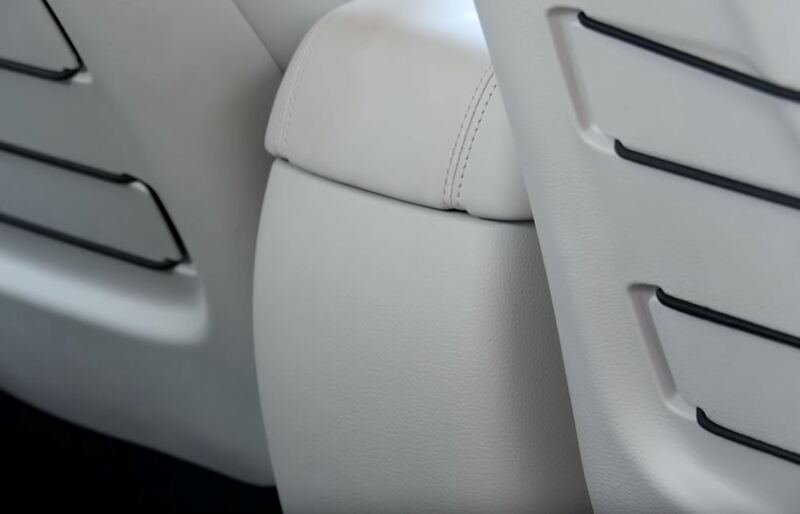 An interesting feature of the back seat of the new 2019 Mahindra XUV 300 is that it has adjustable headrest and 3-point seatbelts for all three passengers, and that’s quite cool. The bench is reasonably comfortable and there is enough space, although it’s not the class best. The driver seat has a bit of wiggle room but if you had two 6-Footers in the back, they’d be a little bit tight on space. One thing you’ll realise that for all these features, one thing it doesn’t have is the Rear A/C vents. 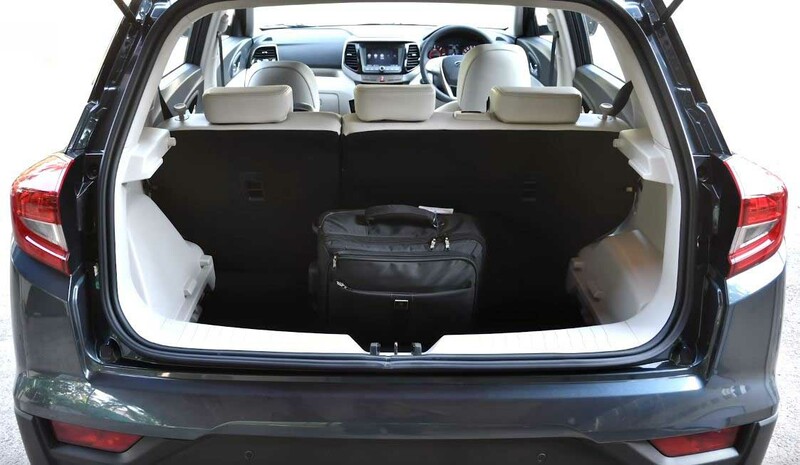 You should take a look at the boot as it isn’t one of this car strong points as Mahindra didn’t reveal an official capacity of the boot, but it’s clear that it’s significantly smaller than what most rivals offer. There’s also a very high loading lip, meaning you’ll have to hold your bags up and over to load them in. 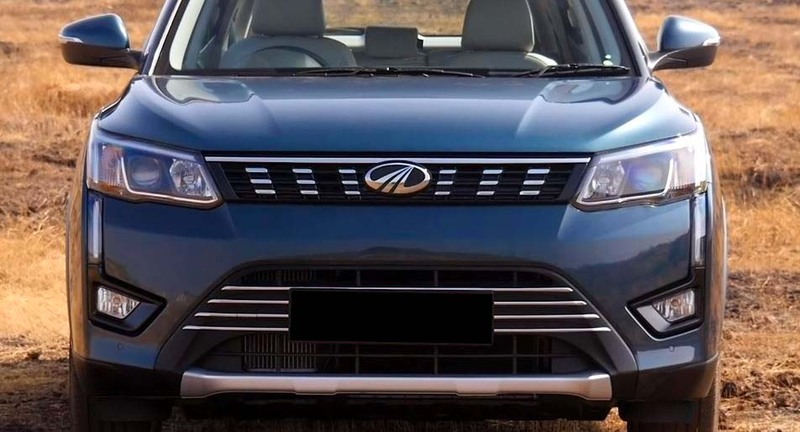 The new 2019 Mahindra XUV 300 is powered by the same 1.5 Liter Diesel engine as the Mahindra Marazzo, but it’s been tuned slightly differently for this car. The good thing is despite the re-tune it maintains some really healthy power and torque figures, 115 Bhp and 300 Nm of peak torque, which is insane for a car of this size. In fact both those numbers are class leading for Diesel engines in sub 4-meter SUVs. It’s mated to a 6-Speed manual gearbox which is really light to use and so is the clutch, which makes light work of shifting around in traffic. Not that you’ll find yourself shifting gears too often in town because this compact SUV has a very strong torque reserve at the bottom end. Mahindra says they worked really hard to contain turbo lag and they have done it as there is very little off it, however there’s just so much torque that when it comes on boost, this car just leaps forward and you have to prepare yourself for that. You really have to be gentle with the throttle if you don’t want to go flying into the car in front of you as performance feels properly strong. This thing is really quick; it’s really really quick. Mahindra hasn’t officially came out with the 0-100 Kmph time. If there’s a criticism to this powertrain it’s that the power band isn‘t very wide. It’s grunt is focused at the bottom end and it’s all done by around 4,000 RPM. It also felt quite refined but again that’s something we’d like to test against our equipment and against its rivals. Another commendable feature on this compact SUV is engine start-stop which will save you a lot of fuel every time you stop at traffic lights. However in practice this takes a bit of getting used to because the system is not perfect. To demonstrate that yourself, all you need is pull over to the side and put the car in neutral which should shut the engine off, but it’s not perfect. You should know that there will also be a 1.2 Liter turbocharged petrol engine with 110 Bhp and 200 Nm of peak torque, but Mahindra didn’t have this car for us to test at this event. The XUV 300 rides pretty decently as well. It set up a little bit on the firm side but it’s not uncomfortably so. Bump absorption in general is quite good and unless it’s a really big crater or steep speed-breaker, the XUV 300 takes it all in its stride but what does hurt things a little bit are the 17-inch alloy wheels, they’re right on 55” profile tires but you can feel a bit of bumpiness over a rough road. Since Mahindra already has the TUV to handle the rough of tarmac situations, maybe this XUV 300 is more geared to the tarmac and to corners .While some rivals do offer driving modes that alter the engine performance, this one has driving modes but only for the steering which is quite interesting. 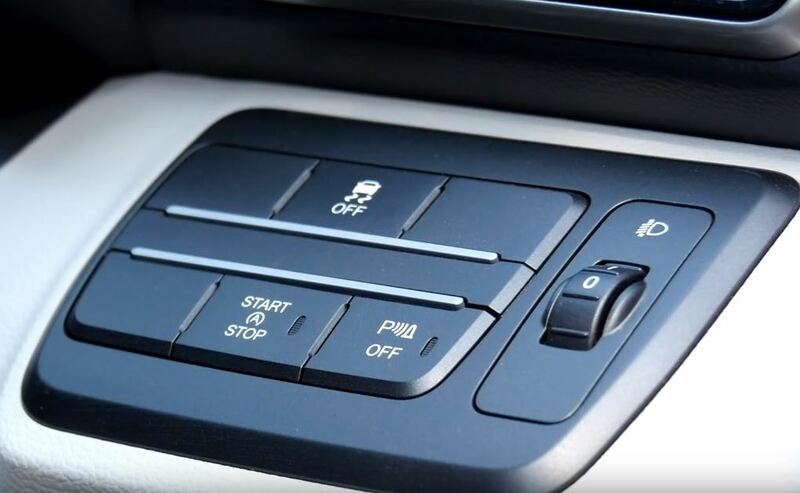 You can shift between Comfort, Normal and Sport and though it’s not a night-and-day difference, there is quite a noticeable change between the modes. If you’re pottering around town, Comfort makes things really light and easy, but if you’re out an open road, we prefer to put it into Sport which gives you a bit more heft and confidence. We’re pretty impressed by the amount of body control there is it doesn’t roll too much which is nice but the steering doesn’t really inspire that much confidence, even in its Sports setting, still feels a little too light and while it’s sharp and quick it just doesn’t give you enough feedback from the road. Mahindra was right when they said the XUV 300 takes a different approach to the compact SUV formula than it’s sibling, the TUV 300. While the TUV is a tough boxy ladder frame SUV that’s better suited to a semi urban environment, the XUV is the sort of city crossover we’ve come to expect in this segment. We also weren’t prepared for just how capable this car would be. The strong diesel engine gives it serious performance, the cabin is for the most part very well put together, it’s got a reasonably spacious passenger cell and the ride and handling balance is very good too. And to top it off, the XUV 300 delivers what’s easily the segment best equipment and safety features list. The prices have not been revealed yet and we’re sure they’ll be competitive. This top-end version will be a little on the expensive side. 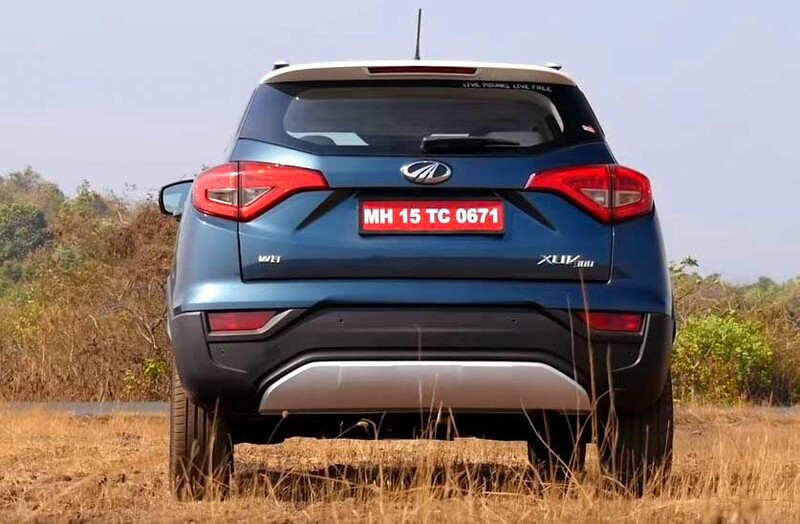 After a series of impressive new cars like the Marazzo and Alturas, Mahindra seems to have kept the streak going with the XUV 300 which is sure to make a big impact in this small SUV segment. What do you think about the new Mahindra XUV 300, tell us in the comments.